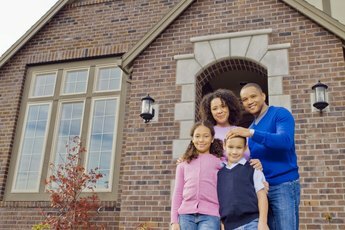 When you purchase a home via the Federal Housing Administration, expect to pay an upfront mortgage insurance premium. The UFMIP is required by the federal government for such loans since the down payment for an FHA loan is as little as 3.5 percent of the property’s price. This insurance policy protects the lender in case the homeowner defaults on the mortgage. 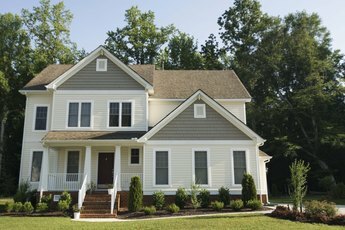 If you obtain an FHA mortgage, you'll pay an upfront mortgage insurance premium at closing. A homebuyer obtaining a mortgage from a bank or other private lender may have to obtain private mortgage insurance if the down payment is less than 20 percent of the dwelling’s purchase price. With PMI, part of the premium is collected monthly as part of the mortgage premium. When the government is the lender, the FHA upfront MIP requires collection of the entire amount when the loan is originally made. These payments go directly to the Department of Housing and Urban Development, which oversees the FHA. However, the UFMIP is not the only such insurance an FHA borrower must pay. The FHA calculates an annual MIP amount, and the borrower pays that every month with his mortgage payment. The annual MIP amount depends on the amount of the loan and the loan to value ratio. That’s the amount of your loan versus the equity you have in the property. 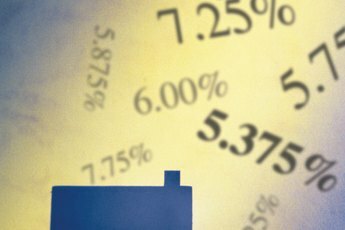 For most borrowers, the MIP is 0.85 percent of the loan amount. As of October 2018, the UFMIP rate is 1.75 percent of the FHA loan amount. For example, a $200,000 FHA loan would incur an UFMIP of $3,500, which you pay at the closing. HUD rules require that the lender send them the UFMIP funds within 10 days of the closing or disbursement date, whichever is later. If the lender does not remit the payment by that date, HUD charges a 4 percent late fee. If the UFMIP is not paid within 30 days, interest charges are also incurred. While you can’t eliminate the UFMIP when you take out an FHA loan, in the past you could stop paying the MIP upon reaching the 20 percent equity level in your home, as is the case with PMI. However, defaults during the housing crash forced the FHA to change their insurance regulations. Now, the borrower must pay MIP for the life of the FHA loan. The only way you can eliminate the MIP is by refinancing and obtaining a conventional mortgage loan. Of course, that makes little sense if you don’t have the requisite 20 percent equity in your home, as you’ll still have to pay PMI. When you pay the UFMIP but sell your home within several years, you may prove to be entitled to a prorated UFMIP refund. Much depends on when you received your FHA loan. If your loan predates June 2013, you can receive the refund if you sell after five years, with conditions. These include at least 22 percent equity in the property and a timely mortgage payment record. If you obtained your loan after June 2013, your only option is refinancing to a conventional loan, and you must have at least 20 percent equity in the property. It’s also possible to refinance your FHA mortgage through the FHA Streamline Refinance program. The program allows borrowers to lower their current principal and interest payments. The process doesn’t require an appraisal, as the value is always the original purchase price. That holds true even if the home’s value has declined since the date of purchase or if your current mortgage is underwater. You will still have to pay MIP, but your overall payments are lowered.